Hall of the Mountain King: Review: Iced Earth, "The Glorious Burden"
Here's one history lesson that should sway even the most unstudious music fan. 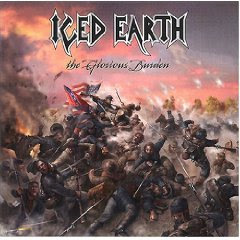 Iced Earth guitarist and founder Jon Schaffer outs himself as a history buff on this album, which also marks a historic moment for the band. When long-time vocalist Matt Barlow departed to return to college, he left a huge void. Fortunately, a Judas Priest reunion with Rob Halford left singer Tim "Ripper" Owens looking for a job. 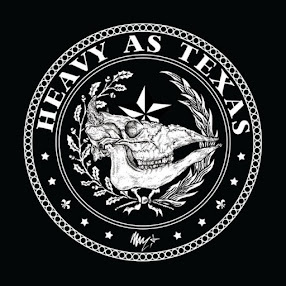 Owens stepped in and laid down some incredible vocals on this album. No longer confined to sounding as much like Halford as possible, Owens stretches out on "The Glorious Burden," and the results are fantastic. It's obvious he believes in his new band because the vocals on this album are more passionate than any of his phoned-in performances as a hired gun with Judas Priest. The songs on the album - the typical crisp, fast, precise Iced Earth fare - cover key points in American history, from the signing of the Declaration of Independence ("Declaration Day") through the Sept. 11 terrorist attacks ("When the Eagle Cries," "The Reckoning"). It also explores world history with Attila the Hun ("Attila") and famed World War I pilot Manfred von Richthofen ("Red Baron/Blue Max") providing the subjects for two of the strongest outings on the album. But the heart and soul of this album is a song that almost didn't make the cut because of its length, an epic 32-minute piece based on the battle of Gettysburg. It's easily the most passionate piece of music Schaffer has ever put on an album. He uses the music to great dramatic effect, perfectly punctuating the ebb and flow of the battle as it plays out in the lyrics. He also uses bits of Civil War-era songs like "Johnny Comes Marching Home" and "Dixie," at one point, blending them together in a nice symbolic gesture. There are also some poignant moments lyrically in the three-part masterwork as a Confederate soldier contemplates having to cross swords with his best friend in "Hold at All Costs," and the band (with the help of Barlow) makes us privy to a haunting conversation between Generals Longstreet and Lee just prior to the ill-fated Pickett's Charge in "High Water Mark." Though I'd like to think the best is yet to come, this could well be the crowning achievement of Schaffer's career.